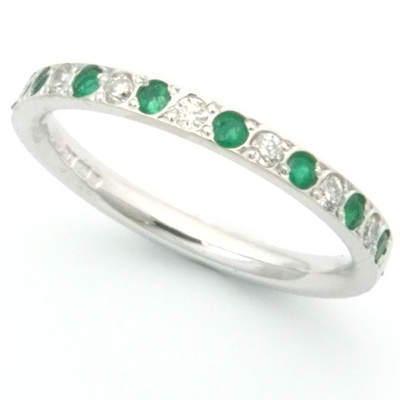 18ct White Gold Diamond and Emerald Eternity Ring — Form Bespoke Jewellers Ltd.
A bespoke diamond set scalloped eternity ring cast in 18ct white gold. 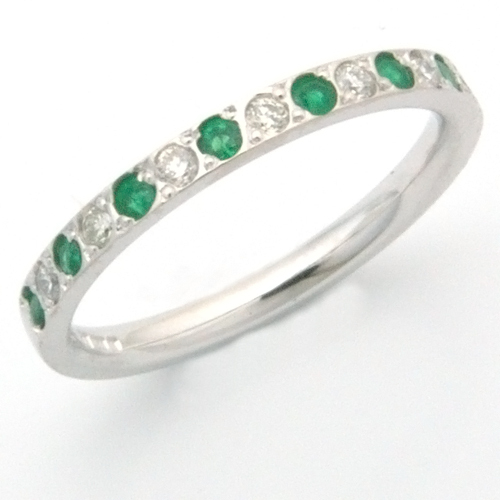 This is a lovely twist on the traditional fully diamond set eternity ring. Rather than the diamonds being set into classic plain band, instead a bespoke band was designed using CAD. It boasts a scalloped detail which not only looks pretty but also allows as much light as possible to enter the sides of the diamonds. The more light flooding the diamonds, the more they sparkle! This bespoke eternity ring is fully set with matching round brilliant cut diamonds too. This ensures sparkle all the way around the ring. A beautiful and unique design, cast in 18ct white gold..